A fresh approach to communicating. We are specialists in sustainability and CSR communications and strong advocates of a more socially responsible way of thinking. We like to keep things simple and pride ourselves on cutting out the jargon and buzzwords so that we can concentrate on helping you achieve your goals. Our ethical approach to doing business sets us apart from the rest. We can help you with your communications, behaviour change and sustainability journeys, whatever stage you may be at. From writing copy for web-sites to producing annual sustainability reports, we use a range of different media to engage with your stakeholders in the most impactful way. We can help you develop communications strategies, sustainability strategies and associated action plans that are meaningful for your organisation. Our behaviour change programmes ensure you get the best possible results that deliver long term changes in both behaviour and attitudes. To help you get the most from your sustainability programme, we work with you understand your messaging and formulate the best way to communicate it. When we talk about grassroots, it implies the creation of the movement and the group supporting it are natural and spontaneous, as opposed to a movement that is orchestrated by traditional power structures. In simple terms - that means the real change - and the desire for it, comes from the bottom up rather than the top down. People are far more receptive to communications when it's something they want to hear. Sounds obvious does't it? The solution is simple. Listen to the people at the grassroots of your business. Understand what makes them tick. Empathise with their different styles. Share everything you know. Communicate with them, not to them. Framing your message in an appealing way can sometimes make the difference between it being heard loud and clear or completely ignored. Read our article on 2Degrees,Eight reasons why sustainability is like Madonna.Attention grabbing titles like that can't fail to make people want to find out more! Whether you are making your tentative first steps into the world of sustainability, or you are looking to refresh your current sustainability or communications strategies, we may be able to help. Many organisations don't even understand what issues are relevant for their own business, let alone how to start tackling them in a meaningful way. By undertaking a materiality review (identifying your most important issues), we can determine your starting point, set your goals, carve your path and formulate your plan of how to get there. Read our blog on 2Degrees to understand why strategic sustainability should matter to your business and how to make it happen. "Human behaviour flows from three main sources; desire, emotion and knowledge". As the human race grows and develops, so too does the rapid development of technology created to help us navigate through our everyday lives. However, it's important to remember no matter how much we invest in the latest fads and gadgets, there is one vital element that ultimately holds the key to success - people and the way they behave. Clearly, there is a place for technology, and without it we would find it difficult to move forward at such a rapid pace. Sometimes, technology allows us to dodge the tricky area of behaviour change (think in terms of automatic sensors that negate the need for someone to physically switch off the lights), but generally, when technology is used in conjunction with additional changes in behaviour, that's where the serious step-changes in efficiencies can happen. By incorporating tried and tested tools and techniques into your change programme, we can ensure long term benefits. If you aren't sure where to start on your behaviour change programme, read our article on 2Degrees - three behaviour change tips for beginners. Grassroots Ideas Ltd are specialists in sustainability and CSR communications. Incorporated in Spring 2008, Grassroots has developed into a network of ethical specialists, all of whom are experts in CSR and advocates of a more socially responsible way of thinking. The business idea for Grassroots Ideas was conceived in October 2005 in Sri Lanka, whilst building a house for a family who only 9 months before had lost everything they owned in the tsunami. After undertaking an MSc at Manchester Business School, Grassroots Ideas was born. 7 years later, we still remain true to that original vision - to help organisations become more responsible and take ownership of the issues that are material to them, by engaging with stakeholders and making a difference. We have been fortunate enough to work on a freelance basis for clients such as Brother, Veolia, B&Q, University Technical Colleges, Birmingham Museums Trust, Pearson Education and Local Authorities on various communications, sustainability and behaviour change projects. We regularly contribute to 2 Degrees - the world's leading community for sustainable business - and can be found on the speaking circuit talking about all things communications, behaviour change and CSR. Zoe has over 20 years international experience working with global brands and has worked in sustainability and CSR for the last 7 of those. 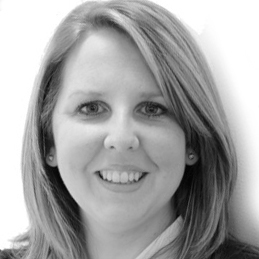 Zoe is qualified with the Chartered Institute of Marketing and holds an MSc from the world leading Manchester Business School in Corporate Communications and Reputation Management. Zoe's career has taken her all over the world, including a 6 year stint in the Middle East where she held a regional role covering over 40 countries for a multinational IT company. Zoe also lectures for Manchester Metropolitan University on Corporate Social Responsibility, Marketing & Communications and Consumer Behaviour.